If you are interested in learning about the techniques and fundamentals that come with self defense, you could benefit substantially from signing up for a self-defense class with L.I.F.E. Health and Fitness Center in Quincy. Our comprehensive self-defense course teaches you exactly how you should react in dangerous situations so that you will never feel unprepared during a time of crisis again. In today’s article, we will be talking about a few of the countless reasons why residents of Massachusetts choose L.I.F.E. Health and Fitness Center for all of their self defense needs.  If you are interested in joining a fitness center that offers a wide variety of instructed classes at a price point that you will love, look no further than L.I.F.E. Health and Fitness Center in Quincy. From zumba and yoga to bootcamp and the notorious Insanity™ workout, we offer the classes you need to build sustainable endurance and strength. If you would like to learn about what you stand to gain from enrolling in one of our instructed self-defense classes, read more on the topic below. When you sign up for a self defense class, you want to be sure that you are being instructed by a trained professional with years of experience under their belt. Self defense is a serious topic that requires an abundance of knowledge to effectively teach. For this reason, we have partnered with San Da-Jiujutsu-Do who have an extensive background in teaching self-defense courses to military, law enforcement, security, anti-bullying programs, and much more. Jiu-jitsu is a form of mixed martial arts that has exploded in popularity in recent years, due to its effectiveness in combating other forms of mixed martial arts. Brought to the forefront by the Gracie family, jiu-jitsu was adopted in Brazil in the early 1900s and continues to be an incredibly effective form of mixed martial arts due to its heavy focus on grappling and submission techniques. One of the main reasons why many individuals succumb to the dangers of physical confrontation is simply due to the fact that they lack the confidence to properly defend themselves, and instead crumble under pressure. We want to teach all of our self-defense students how to feel empowered by learning the proven methods and techniques that can be used to effectively defend yourself in dangerous situations. By becoming familiar with physical confrontation in a safe environment such as a self-defense class, you can learn how to effectively harness your fear and use it to your advantage if you were ever to find yourself in a harmful situation during your everyday life. Not to mention, with an additional boost to your self-esteem and confidence, you will appear as a stronger individual that is capable of defending yourself. When faced with dangerous situations, ordinary individuals are often put at a major disadvantage as they are not accustomed to thinking how a criminal would think. Often times when individuals are attacked or mugged on public streets, the attacker in question will use the element of surprise to his or her advantage. Criminals frequently use the cover of night to their advantage, where they will lurk in the shadows or hide in dark alleyways until they can attack their victim from behind. Many individuals make the mistake of not looking behind their back while walking alone at night, which can put you at risk for theft, assault, and many other terrifying situations. This is just one key piece of information that you will learn while participating in one of L.I.F.E. Health and Fitness Center’s self-defense courses. By being better prepared for the worst possible outcomes, you can gain the confidence and wherewithal that you need to properly protect yourself when danger presents itself. We know that self-defense courses can cost a significant amount of money, but why should you pay an exorbitant amount of money to learn the core fundamentals of self defense? We understand that you may have budgetary constraints that limit your ability to register for self-defense classes, which is why our self-defense courses are affordably priced for everyone that enrolls with L.I.F.E. Health and Fitness Center in Quincy. In fact, our self-defense courses start at just 25 dollars per session, a small fee for such an invaluable skill set to acquire. However, if you are interested in enrolling in multiple classes so that you may perfect the techniques and methods taught by our self-defense experts, you can sign up for four classes for just 75 dollars. With a 25-percent savings when signing up for multiple classes, we offer the most comprehensive self-defense courses in Quincy, all at a price that you will love. If you are interested in learning more about our full offering of self-defense classes, visit our website today! We also offer a wide variety of fitness classes to choose from such as lower-body conditioning, upper body-conditioning, personal training, and many other classes. With a full selection of classes to choose from, and an online store where we offer post-workout snacks, custom-branded clothing, and so much more, L.I.F.E. Health and Fitness Center is your all-inclusive solution for achieving your personal goals among a team of supportive individuals. Contact our friendly staff today to learn how we can help you. We look forward to speaking with you!